Maggie Stiefvater definitely delivered on the third book in her Raven Cycle. The romance was powerful, the plot was enchanting and complex, and the characters only got deeper and realer. This book is on my Top Shelf. I have been waiting for this book since the minute I finished The Dream Thieves. The ending of book two perfectly transitioned into book three, which I really appreciated. And what a book it was. Stiefvater scaled back on the dark intensity that dominated The Dream Thieves and replaced it with a subtle but powerful pace. She found the perfect balance between the tones of books one and two and ran with it. The writing is, as always, beautiful. Blue Lily, Lily Blue is one of the most successful third books in a series I’ve read, avoiding the stagnation that often occurs as long series lag in the middle. I can’t quite decide what to say about this book. It wasn’t as sad as I thought it would be. It wasn’t as dramatic as I thought it would be. But somehow, I still really enjoyed it. 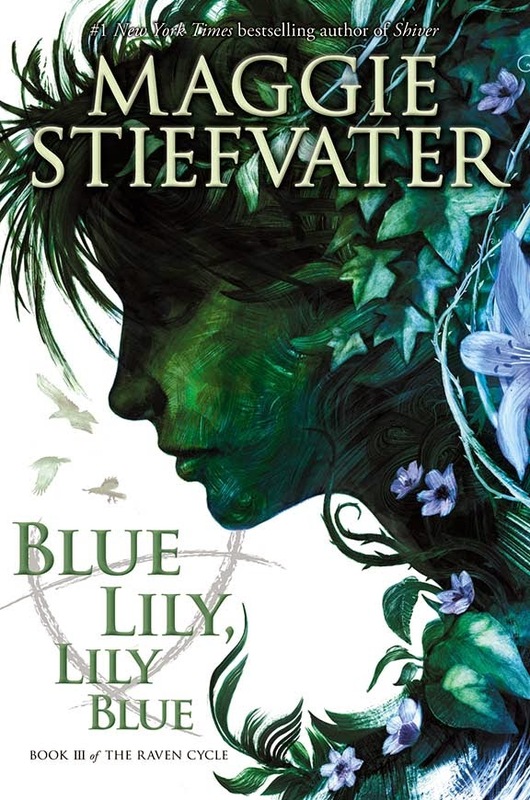 I feel like Stiefvater found her pace for the series and settled into it. Blue Lily, Lily Blue moved the series along in the series but made it clear that the series is far from over. The character development continued, but wasn’t as severe as it was in The Dream Thieves, I think simply because so much was revealed about each character in the second book. I will say that I actually liked Adam’s character in this book. For the first two, he just felt like he was in the way of the plot, but in this book he plays an active role in the entire story, instead of being somewhat separate from the rest of the book. Blue and Gansey’s relationship in this book is wonderfully complicated. I can’t say much more without spoiling anything, but suffice to say that fans anxiously awaiting developments in their romance won’t be disappointed. I like the fantasy elements in this book. They are slightly different from the ones in earlier books, another sign that the series is progressing along instead of stagnating. Also, the list of soon-to-be-dead from the first scene of The Raven Boys plays an important role in this book, which I liked because it linked the series together. I can’t believe I have to wait another who-knows-how-long to read the next part of the story. I’m so in love with all of the characters and the world Stiefvater has created.